Any fool can do it, There ain't nothing to it. Wow! We’ve been gone for three weeks. June is already gone. We flew back to Clearwater on the 11th. Cindy drove her car back up to Maryland on Monday and Tuesday, the 26th and 27th and I flew back on Friday the 30th. 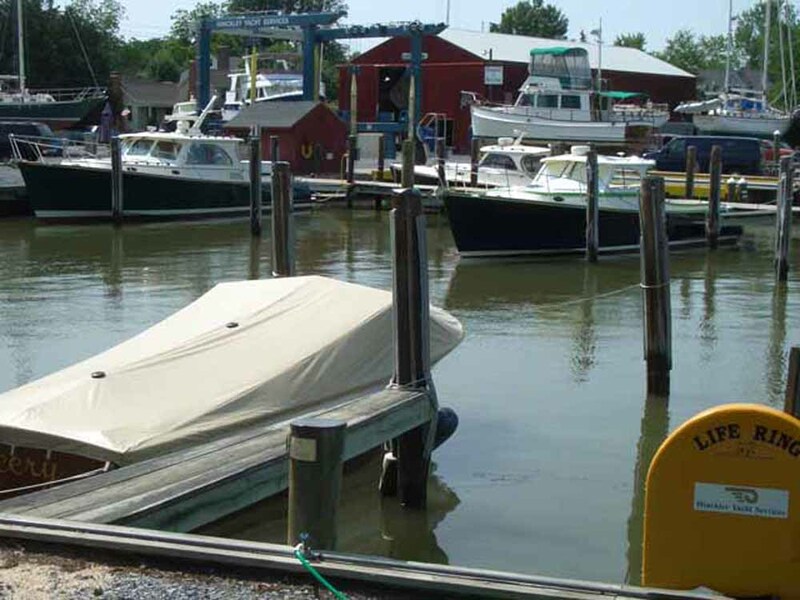 The laundry was done, the boat provisioned, I did an oil and filters change before I left so we are all ready to go. Now…where??? We departed our slip at Solomon’s Island about 11 AM. We didn’t have far to go. We are headed for the Potomac River. 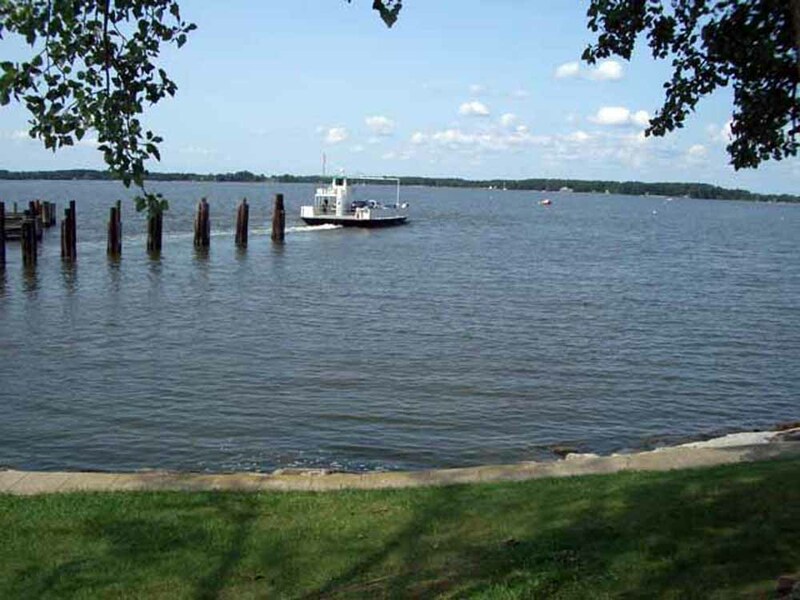 It is only about 2 miles to Drum Point, where the river meets the Bay and we were there in 15 minutes, turning south. The winds were light – about 5 knots, but out of the south. By shortly after 1 PM we passed Point No Point light and the wind continued out of the south building to 10-12 knots. By the time we reached Point Lookout Light at 2 PM we had to pass beyond the channel about a mile before turning so we wouldn’t be taking the waves directly on our beam, which cause us to roll uncomfortably. Once we turned the corner it smoothed right out and we had a pleasant run up into the Potomac. 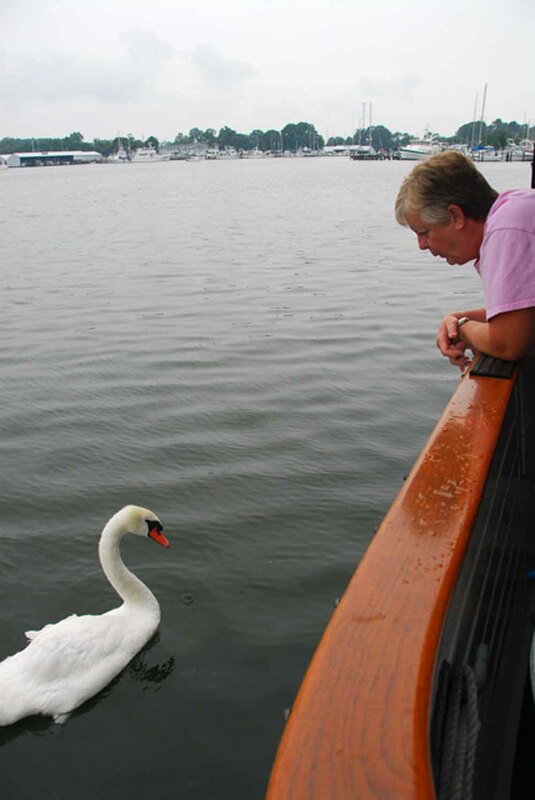 By 3 PM we turned into St. Mary’s River, a tributary of the Potomac, and by 4 PM we were setting the anchor at Horseshoe Bend, off St. Mary’s College, Old St. Mary’s City, the old State House, cemetery and the “Dove”. “Dove” is a replica ship built similar to the one that Capt. John Smith used to explore the area when he first arrived here. Sure looks small. Cindy and I visited St. Mary’s City by car a few years ago. We were looking for a place to grab some lunch before we headed up to catch our plane in D.C. We saw St. Mary’s on the map - it was right across the bridge so we figured “why not?” I’ll tell you why not. There is nothing there. It’s an archaeological site …the site of the old colony back in the 1600’s. They have recreated the old State House and of course there is a gift shop but that’s just about it. We were hungry and had to keep an eye on the time so we didn’t stay long before heading out to find lunch, but we were struck by the beauty of the place and the pretty anchorage in the river and we vowed to return by boat. We decided to stay over today. Last week the entire Northeast and Atlantic seaboards have been inundated with rain and floods. Consequently we have to amend our plans. Our plan, for almost a year, was to fulfill a dream of mine and anchor out off Washington DC for the fire works on the 4th of July. Jane and Fuller Moore were going to join us there. Well, its about 120 miles up to DC from Solomon’s, two long days of travel, against the current and now we are hearing reports of huge amounts of debris in the river. The Coast Guard has even put out a Notice To Mariners broadcast about this. We certainly don’t want to risk bending the prop or shaft or causing some other kind of damage to the boat so we are going to go to Plan B. Plan B is to meet Jane and Fuller at Solomon’s, enjoy the afternoon, maybe with a little harbor tour, followed by adult beverages of our choice and steaks on the grill. We will cap the evening off by watching the local fireworks. We have been told that our slip is the primo spot to do this. Since we don’t have to be back to Solomon’s until Tuesday, we might as well loaf around here and enjoy the river. After breakfast we went ashore and wandered around Old St. Mary’s City a bit. Then we walked across the street and strolled around the campus of St. Mary’s College. It is absolutely beautiful but I’m not sure why a college-aged kid would want to go there. 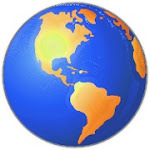 This place is REMOTE. Remember your college day’s…milk shakes at the Sweet Shop, burgers at the Red Garter, a beer at the Pastime, a pizza from Chanello’s, football games on Saturdays in the fall. (If you went to FSU you remember this…maybe) They’ve got none of that here. In fact, they’ve got none of anything here, unless you count the cornfields! It was after 11:30 AM and we had heard that the food was good at the college cafeteria and that cruiser were welcomed so we thought we would relive some of our misspent youth and have lunch with the rest of the kids. We walked around campus for 45 minutes and never saw another soul. It was kinda’ eerie, like a ghost town! So we went on to our second Plan B of the day-back to the boat for lunch. It was darn hot in the afternoon. We sat in the shade of the bimini top and read and watched the boats trying to sail in almost no breeze. It would have been a great time for a cooling swim but almost the entire Bay is afflicted with Sea Nettles, we call them jellyfish in Florida. They are thick as thieves. So we content our selves with rinsing down with the hose on the swim platform instead. We did manage to finally get the “waterway smile” cleaned off the hull. There is so much tannin in the water that most boats making this trip get a brown moustache staining the bow. Its tough to get off, especially from in the dinghy. Finally about 5:30 PM we caved in and started the genset and air conditioner. It was 90° outside and not far behind that inside. A light rain started to fall and that helped to cool the air down. 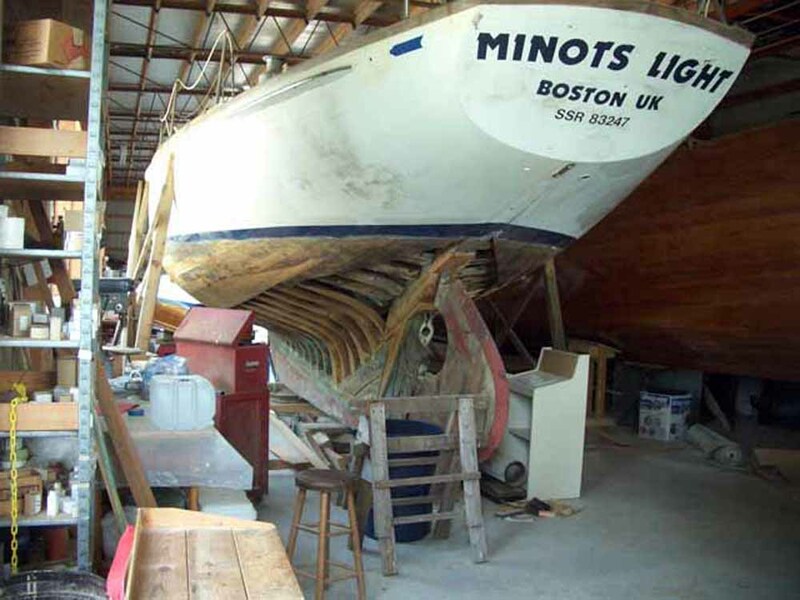 It was finished by 10 PM and we were able to turn off the generator and open the boat up before we went to bed. We have decided that the secret to survival is to beat the heat. So in that spirit we were up early and had the anchor aboard before 7 AM. By 7:30 we were down the St. Mary’s and into the Potomac. There was a light wind, less than 10 knots, out of the west. Not bad! Shortly after 8:30 we were rounding Point Lookout Light and heading north up the Bay. Wouldn’t you know it; the wind is out of the north now at 10-12 knots. Understand that that’s not a lot of wind. We have certainly been in much more. But once the wind get much above 15, it starts getting uncomfortable so when we start to see 10-12 and it’s contrary to the forecast we start grumbling. Between the breeze and the current we are only able to make a bit over 6 knots. There is a rain shower to the north with occasional lightning. I am able to “paint” it on the radar. Its moving to the east and we are able to duck behind it with no problem. By 11:45 we are passing Drum Point and are back in our slip by noon. It’s a good afternoon to hide out in the air conditioning. Spent the morning giving the boat a good cleaning. Looks great. Too bad it won’t last. Jane & Fuller came about 2:30. We spent a few hours catching up and then went for a harbor tour about 5:30. Before we got done, the thunderstorms showed up out of the haze and chased us back in. The stories diverge here. Cindy says we got caught…I say nothing got damaged, no one got hurt and we didn’t get wet until after we were safely docked. We were able to grill steaks between the thunderstorms but the fireworks were washed out. Bad weather forecast. Stayed put. Fireworks tonight. Wind is up. Not a good travel day. Dinghied over to Zahniser’s Marina, across the creek to say “Hi” to Bob and Gail Higgenbothom on “Friendship”(KK42), friends from the Krogen Cruisers group. Decided late in the morning to do a road trip to Annapolis for lunch. Ate at Pusser’s (as in Pusser’s rum), which is located at the Marriott. We ate outside on the dock overlooking “Ego Alley” where we could critique all the boats coming and going, their designs and the boat handling and docking skills of the owner. Ego Alley is the common term for the narrow channel that leads to the City Docks and there is always someone coming or going. Great fun! We gotta get out of this place. Time’s a wastin’. We had the engine going by 7:15 and were away from the dock by 7:30. We passed Drum Point just before 8:00 and entered the Bay. Fifty minutes later we had the Cove Point Light abeam and were heading northeast into, you guessed it, a northeast wind of 10-12 knots. That’s manageable but the seas were lumpy. We set up the autopilot to steer the boat and we both flopped down against the beanbag and put up with it until we got into the Choptank River about 10:30. By 12:20 we were in the Tred Avon River and 25 minutes later we were cruising through Town Creek at the beautiful, little town of Oxford. We went across the river and anchored in Plaindealing Creek, which was only a five-minute dinghy ride back to Oxford. The story on Plaindealing Creek is a bit obscure but has something to do with the Indians and a group of Quakers. You can probably figure it out from here. 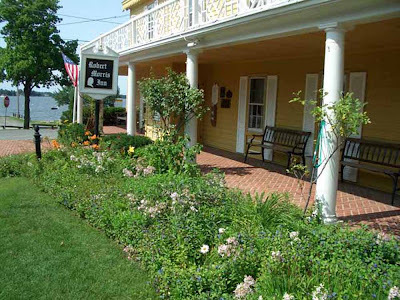 The Robert Morris Inn in Oxford, MD. Robert Morris was one of the financiers of the American Revolution. ﻿﻿﻿Its such a pleasant day and Oxford is such a pleasant place that we decided to lay over for the day. We fitted the 15 HP outboard on the dinghy so we’ve got plenty of zoom and can explore easily and breezily. In addition to going back to Oxford, we dinghied to several of the nearby creeks and anchorages and are convinced that we got the best one. Oxford reminds us a lot of Boca Grande. There is obviously a lot of money in this town, but is really a quiet and sleepy place. A great place to walk. 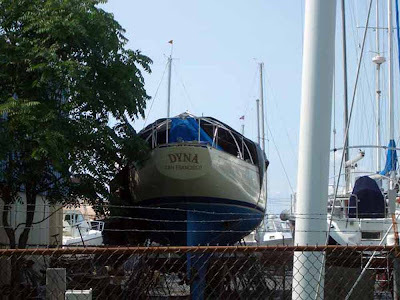 We visited the Hinckley yard, Cutts and Case Shipyard, saw our friend, Al Humphers, boat, DYNA, on the hard, patiently awaiting Al and Linda’s return. Hinckley Picnic boats at the yard in Oxford. We also saw SUMMERTIME, a boat we first met in Georgetown, SC. This is homeport for Lenny and Roxanne’s boat but no one was aboard. We strolled through town to the delightful little park on the riverfront, inspected the ferry that runs across to Bellevue (oldest continuously operating ferry in the USA) and had a pleasant and relaxing afternoon. 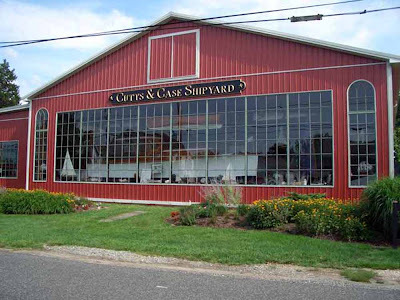 Cutts & Case is one of the coolest boatyards I've ever been in. Cutts and Case has a great collection of antiques. 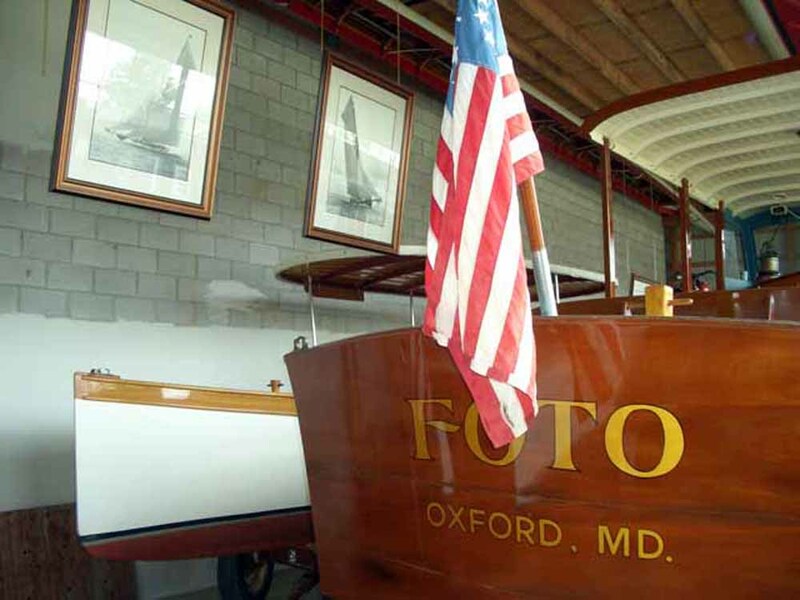 FOTO was famous marine photographer Morris Rosenfeld's camera platform. Some of his photos are displayed ont he wall behind. ﻿If you ever find yourself in Oxford, stop at Schooners Landing. Go around to the side and fine the Scotsman who makes ice cream. We were told that he has about 500 flavors in his repertoire and usually has a dozen or so at any given time. He makes it by hand daily and it will spoil you for store-bought ice cream. If I lived in Oxford, I’d weigh 400 pounds! The Eastern Shore, as this side of the Bay is called, is supposed to have bigger crabs the other side. It has something to do with the salinity of the water and the crabs grow faster over here. We believe it. We got a half dozen 6-7 inchers with a hand line last night and we cooked them up today. Crab salad is on the menu later in the week!